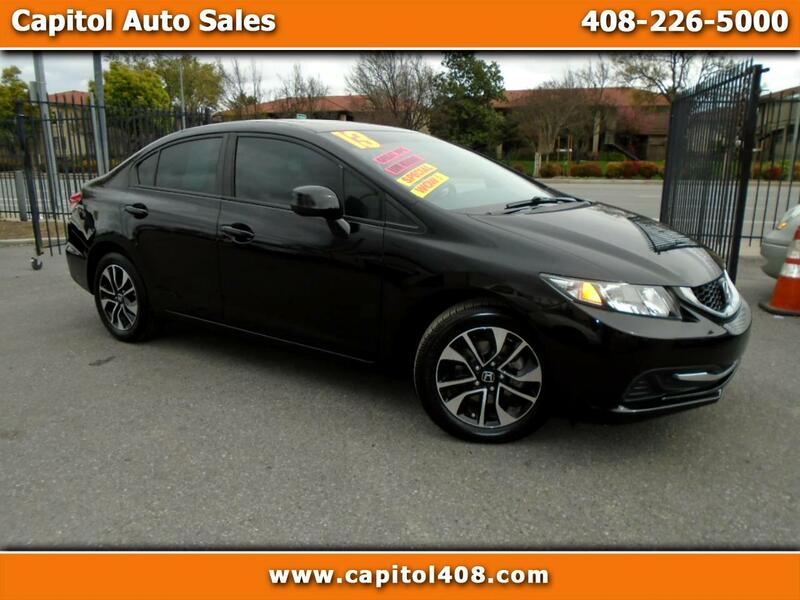 This is a 2013 Honda Civic EX Sedan with Automatic Transmission that comes in with 37k on the miles. It comes in with options like Power Mirrors, Cruise Control, Back Up Camera, Keyless Entry, and much more. This is a great commuter car if you are looking for one. It has very low miles on it and has been garaged for most of the time. These cars are very reliable and you don't have to worry about maintenance as it is easy to maintain. There are 8 Service Records available on the history report.